Exceptional quality blends utterly with a fusion of aromas, followed by a distinctive character that evokes positive emotions. This fresh, grassy fragrance recalls memories from the past and the present, reminding you unripe olive fruits. Spicy fruitiness with a soft touch of acrid and peppery flavor sensation, forms the ideal bridge to your taste buds, magnifying & elevating the tastiness of your creation to unimaginable heights! 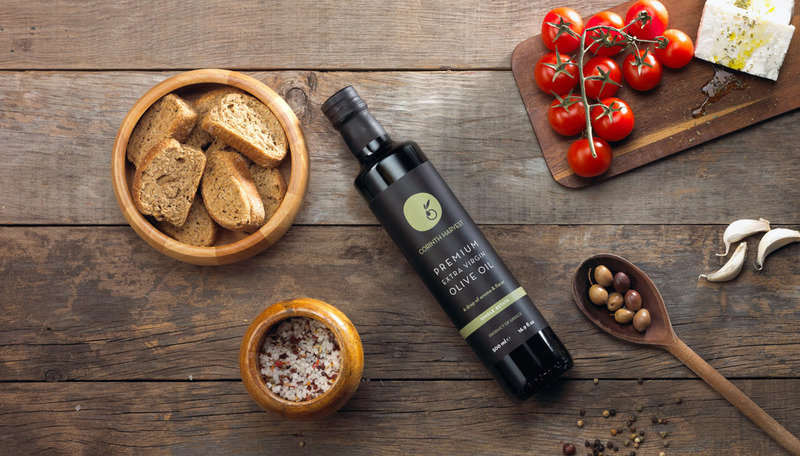 We proudly present you our Greek marvel: Corinth Harvest, Premium Extra Virgin Olive Oil. A superior Greek product made from the acclaimed Koroneiki Variety. Olive tree has always been the archetypal image of Greece – Peloponnese in particular – since the 10th century AD. Olive oil is a centuries-old elixir for Mediterranean people. Corinth Harvest sets off from Ellinochorion village, perched at an altitude of 350m, located at the northern part of Peloponnese peninsula in Greece. Our homeland is a lovely place with great olive oil tradition, featuring an ecological value that formed along with its wonderful geographical features, fertility and welfare, under the ideal conditions of Mediterranean climate. 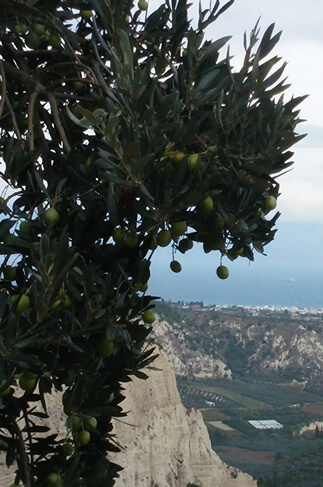 Its’ residents have been for years loyal devotees of agriculture, producing one of the best olive oils in the world. Corinth Harvest is a blend of unrivalled quality, aroma & flavour: Fruity and aromatic with well-balanced freshness, gentle bitterness & a hint of pungency! Corinth Harvest, appeals to discerning clients, who appreciate the taste and the healthful properties of extra virgin olive oil. Do you need a top quality premium olive oil? Wouldn't be also great to have the best quality for your customers, with your own brand name on it? 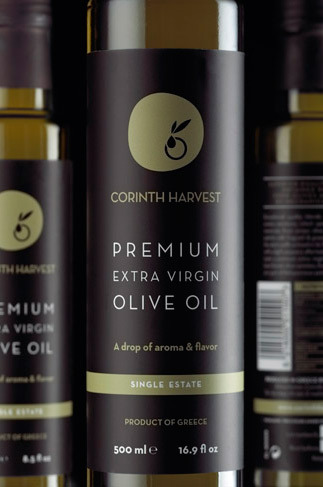 We supply Corinth Harvest-Extra Virgin Olive Oil in gourmet food retail and service - restaurants and delicatessen shops, luxury hotels, as well as private clients. We offer an exceptional product with ideal characteristics and delivery all over Europe. For further info, contact us directly. Close your eyes and indulge in a fusion of aromas: crisp mountain air and fresh cut grass. Now, open your hands and feel the «royal lady of olives», Koroneiki tree.Listen to the age-old stories of their existence. 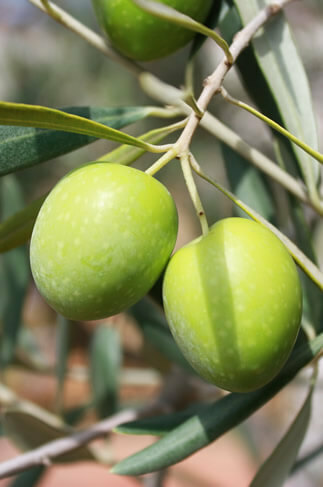 Follow us at Ellinochorion, part of Peloponnese peninsula, where our olive grooves are growing with great care & respect, just to create a unique product for each of you.